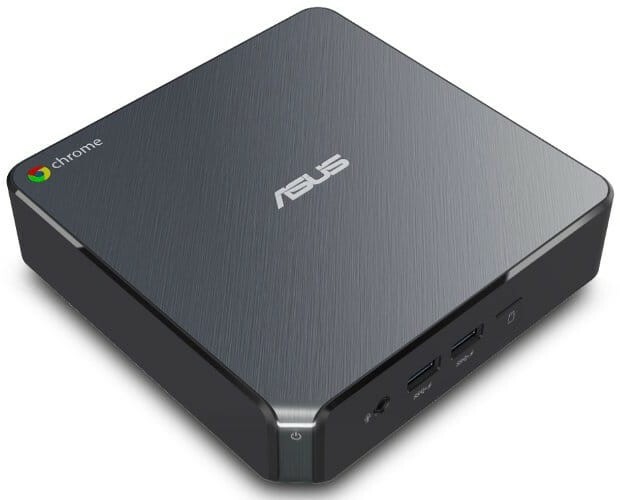 Unveiled back at CES 2018, the Intel Kaby Lake-powered Asus Chromebox 3 is now available for pre-order via TigerDirect and NextWarehouse. Although it is also listed as out of stock and there is no release date public yet, those interested can place their orders to be sure they get their devices as soon as they become available. Not long after the Acer CXI3 went up for pre-order, the Asus Chromebox 3 surfaces online on TigerDirect and NextWarehouse. Both these Chrome OS-driven desktop PCs were unveiled back in early January, during the CES 2018 trade show. If you missed the Acer CXI3 so far, you should know that the Celeron-powered model starts at US$279, but the price can go all the way up to US$744 for the Intel Core i7-8550U model. Some details for the Chromebox 3 are still missing, but considering the prices, they should be similar to the Acer CXI3 — at least under the hood. The prices of the Asus Chromebox 3 models now up for pre-order via TigerDirect are the following: US$249.99 (Intel Celeron), US$449.99 (Intel Core i3), US$501.99 (Intel Core i3), and US$733.99 (Intel Core i7). In addition to the 8th generation Kaby Lake processors, these compact desktops with Chrome OS onboard also feature dual-band 802.11 ac WiFi, USB Type-C connectivity, Gigabit LAN support, DDR4 memory and various amounts of flash storage (the details are not available yet). Although the release date is not public yet and the products are listed as "temporarily out of stock," you can place your orders already to have them shipped as soon as they become available. We will get back to the Asus Chromebox 3 as soon as that happens, but maybe now you should take a closer look at the video below.